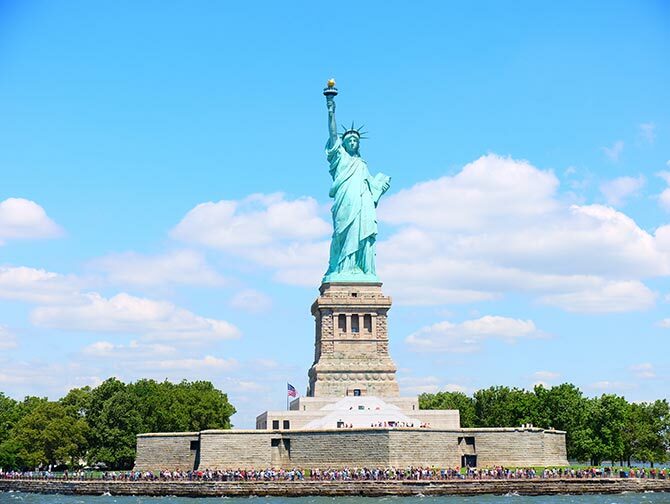 With the New York Sightseeing Flex Pass, you can choose from 100 tours and attractions. Whereas, the New York Explorer Pass has around 80 to choose from. 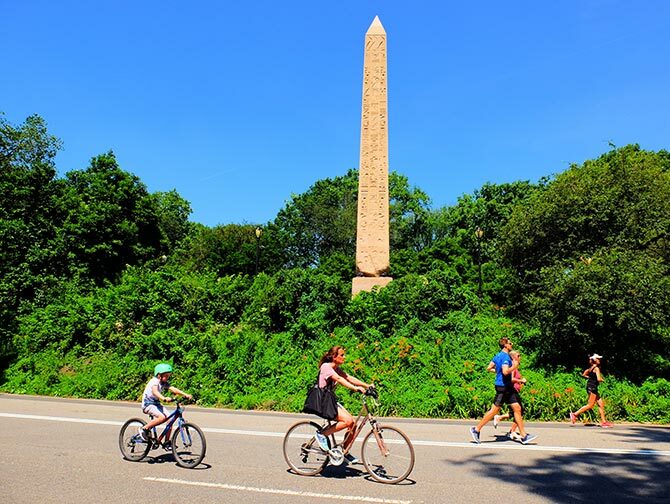 Both passes allow you to visit the Top of the Rock, ride a bike through Central Park and take a boat tour past or to the Statue of Liberty. In addition museums, such as the 9/11 Museum, the Guggenheim and the American Museum of Natural History, are also included in both. A big difference is that the Empire State Building is not included with the Flex Pass. Plus, the bike options are very limited. 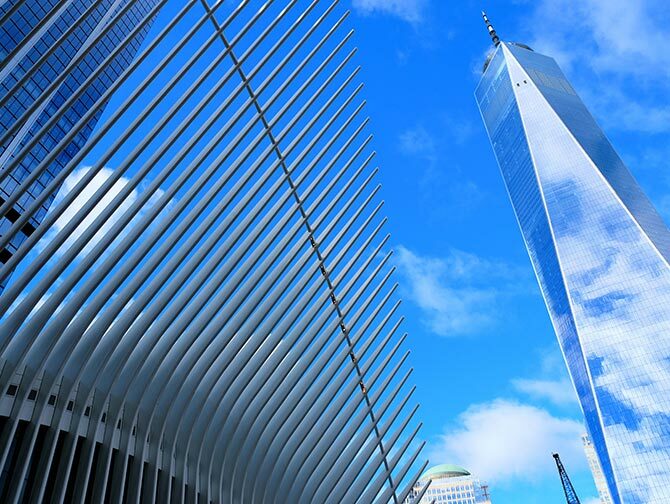 However, the Flex Pass does include entrance to the One World Observatory, and offers the option to take a transfer to the airport. You can take a Hop-on Hop-off bus tour with both passes. The Flex Pass includes a Gray Line-ticket for 72 hours, with which you can take the Uptown and Downtown tours. This counts as one attraction. The Brooklyn and evening tours both count as separate attractions. With the Explorer Pass, you can choose a one day Big Bus-ticket. This also includes the Uptown and Downtown tours. Alongside this, only the Evening Tour is available as a separate attraction. Eric’s Tip: Would you like to visit the Empire State Building and do a Circle Line Sightseeing Cruise? Then the Explorer Pass is the best option. Do you want to make a lot of use of the Hop-on Hop-off bus? Then go for the Flex Pass, as you can get tickets for 72 hours, rather than just one day. 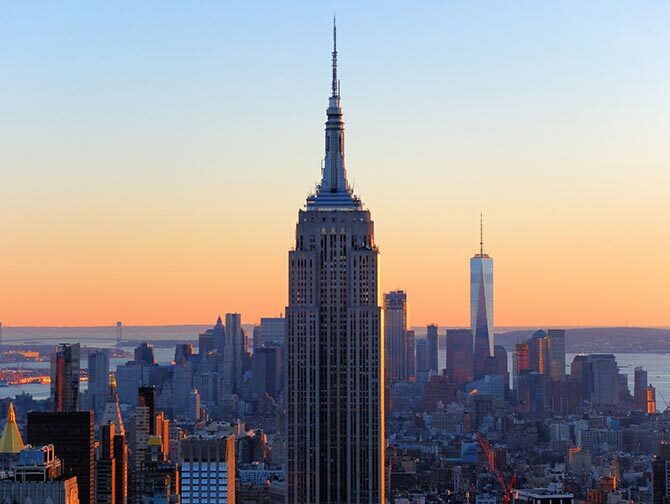 The Empire State Building is not included with the Flex Pass, however, it is the only discount pass that includes the option to visit the One World Observatory. The Empire State Building is included as an option with the Explorer Pass, but the One World Observatory is not. The New York Sightseeing Flex Pass and the New York Explorer Pass work in the same way. You buy the Flex Pass for 2, 3, 4, 5, 6, 7, 10 or 12 attractions or the Explorer Pass for 2, 3, 4, 5, 7 or 10 attractions. With both passes, you have 30 days to visit the attractions you choose. You can decide which attractions you want to visit on the spot. After purchase, you receive a voucher per email. On the voucher is a QR-code, which is your pass. You can show the pass on your phone, or print it out. The Sightseeing Pass voucher can also be exchanged for a physical pass; in New York, or sent to your home.